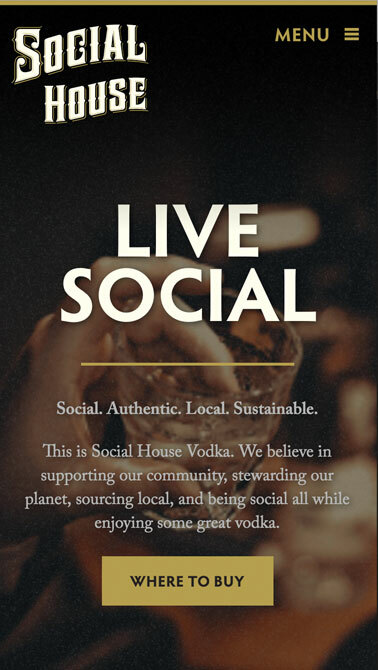 Social House Vodka is an American-made vodka distilled in Kinston, NC, with brand tenets of being social, authentic, local, and sustainable. 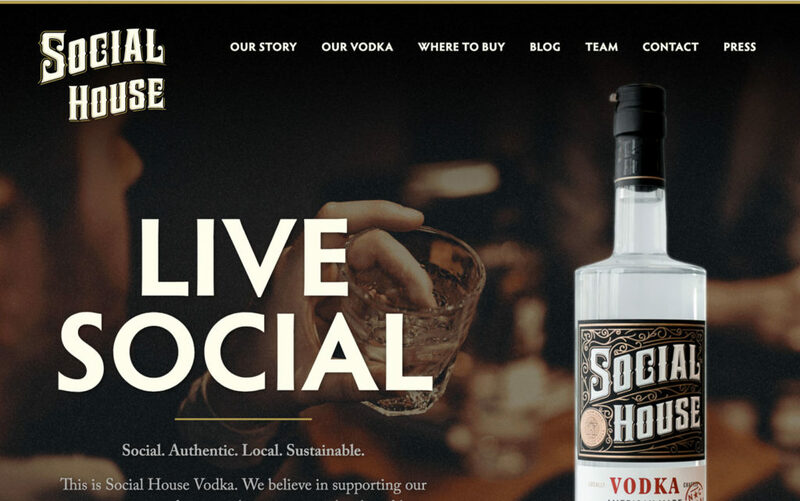 More than a year before Social House Vodka hit ABC Store shelves, we were working with the Social House team to create a website that would serve as the hub for activity around the brand, both pre- and post-launch, as well as a tool to help people find where to purchase it. No established brand. No final bottle, label or product. 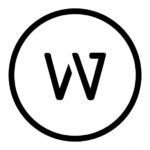 Just a name, a logo, and the dream of a group of friends who liked to gather as often as they could over dinner and drinks. It was from these dinners, those moments shared with friends, that Social House was born. The website needed to tell the friends’ story as much as the product’s, and communicate that the vodka was something that stood out, even in a crowded category. The Social House Vodka website speaks for itself. It tells the story behind the brand, while presenting a distinguished vibe that remains friendly and accessible. The chosen color palette and typefaces combine with the imagery to give the feeling of a night out with friends, which is exactly what Social House Vodka is all about.